These items are the top 10 Things You Should Be Deep Cleaning In Your Kitchen But Probably Aren’t. So, let’s get cleaning, shall we? 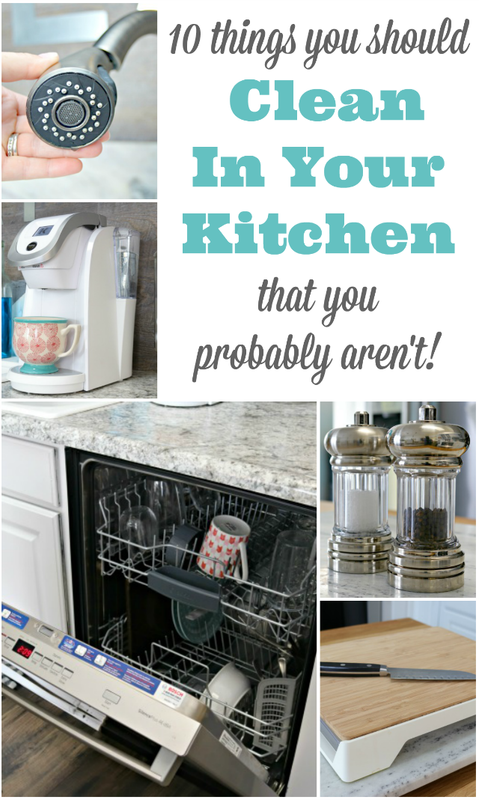 There are some things in the kitchen that we all clean without thought, like our dishes, sinks, countertops and the outside of our appliances. Today I want to talk about 10 things you should be deep cleaning in your kitchen, but probably aren’t. If you have already checked these off of your list, than consider yourself a cleaning master! If not, let’s get it done together! Your coffee maker. Most coffee maker’s need to be be cleaned thoroughly at least once of month to keep hard water from building up and keep bacteria at bay. Most of the time, this can be done by running a couple of coffee pots of hot water mixed with vinegar, and wiping down the entire machine with vinegar as well. 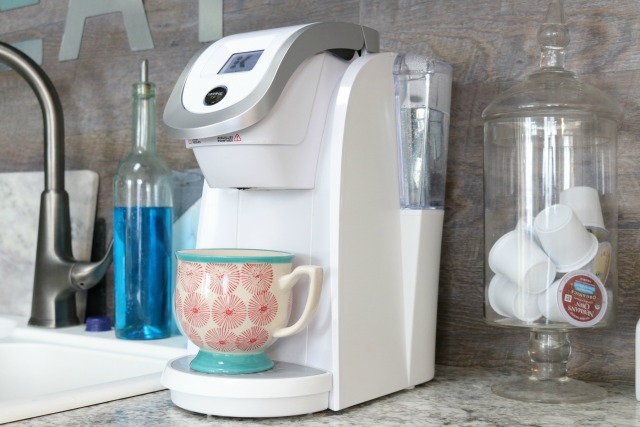 If you have a Keurig, check out my post on How to Clean a Keurig! I wipe down my faucet all of the time, but how often do you clean the part of your faucet where the water comes out. 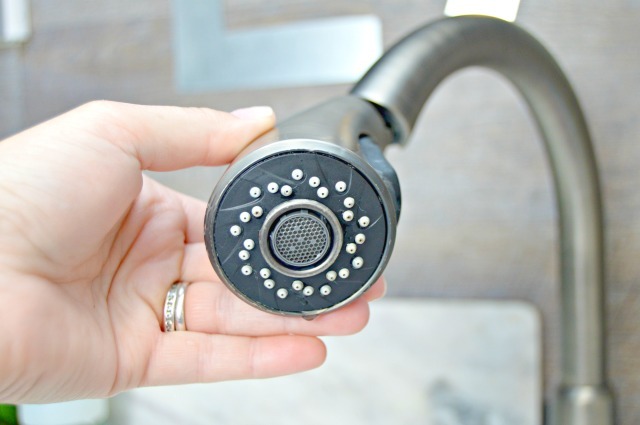 Do me a favor and take a look at yours…I discovered some really gross build-up under mine not too long ago and shared this post on How to Deep Clean Your Kitchen Faucet. 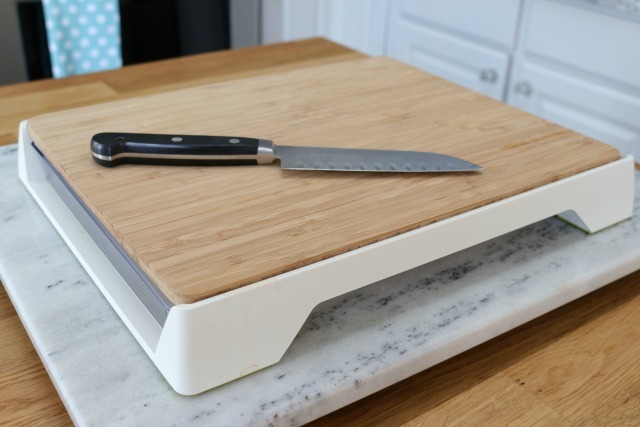 Cutting boards can become worn and bacteria can live in the wood grain. Use this post on How to Clean and Care for Wood Cutting Boards to learn how to clean yours and make it look like new again! 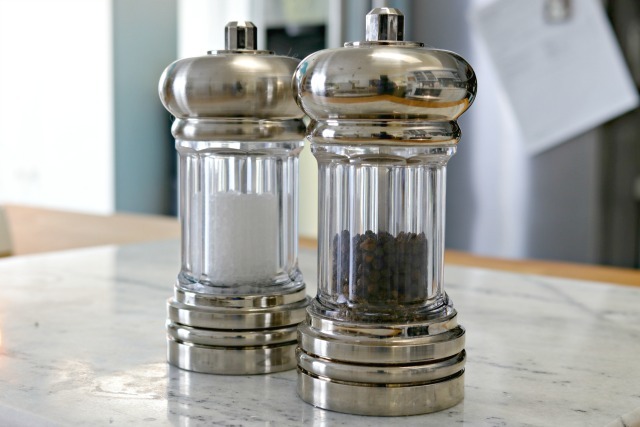 Salt and Pepper shakers get used a ton by just about every member of our family. They should be wiped down with a little vinegar at least once a week. One of the most used appliances in most kitchens is the dishwasher. Because they wash our dishes, it can be assumed that they clean themselves, but that’s not necessarily true. Hard water can build up in them and because they hold a lot of moisture, they are the perfect breading ground for bacteria. 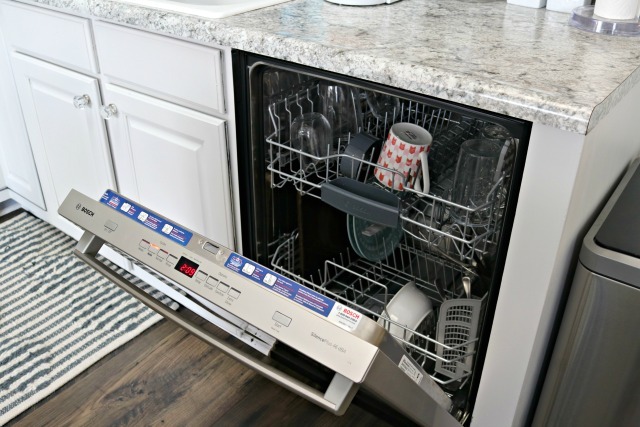 Check out this post on How to Clean Your Dishwasher for the easiest way on the planet to clean and disinfect yours! One thing I never thought about cleaning until recently is the ice machine on our refrigerator. Ours got backed up with ice one day, and I had to dig the ice out to clear it. I noticed some mildew build up when I was taking a closer look at it, and was completely grossed out. I took a toothbrush and some vinegar and gave it a good scrub, then rinsed it with warm water…all clean now, and I’ll be cleaning it at least once a month from here on out! 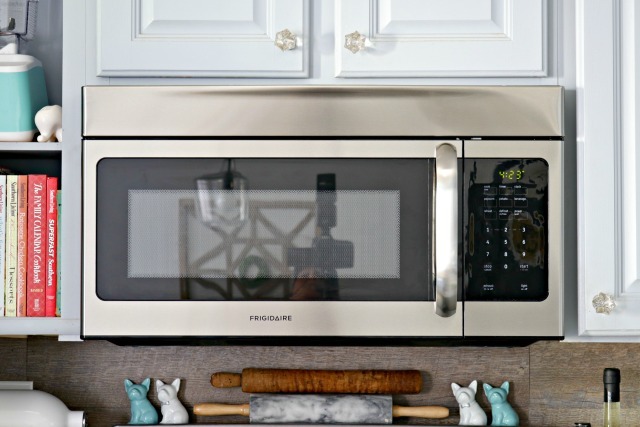 How often do you give your microwave a good cleaning? I wipe ours down weekly, but you should give it a good steam cleaning at least once a month. 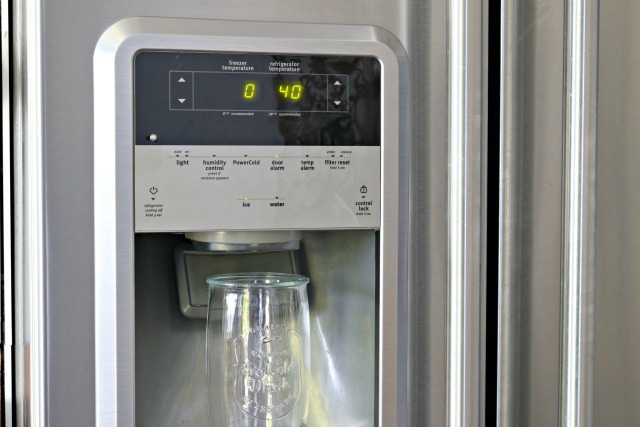 Use these easy instructions to Steam Clean Your Microwave With Lemons and get that microwave really clean! Okay…can we talk about our trashcans? 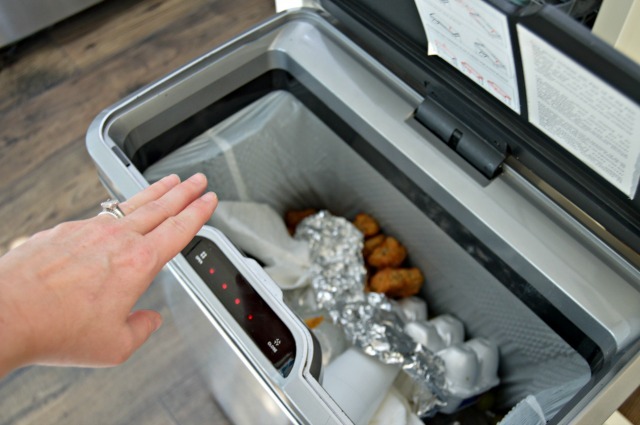 We take out the trash when the bag gets full, but how often do you give your trash can a thorough cleaning? I try to take our trashcan outside and give it a good scrub down with dish liquid and our garden hose a couple times a year, but I also give it a wipe down with vinegar once a month to keep germs at bay. 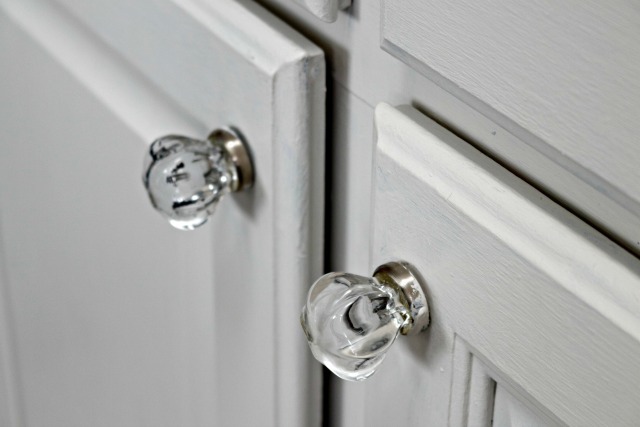 Kitchen knobs, door knobs and our kitchen appliance handles get a ton of use. They should be wiped down with vinegar at least once a month. Our oven’s racks can get coated with food that boils over and oils as well. I don’t recommend using harsh, store bought chemical cleaners for oven racks. Instead, grab some vinegar and baking soda and use this post showing How to Clean Oven Racks Without Harsh Chemicals. sharing this on fb! Just in time for Spring Cleaning! 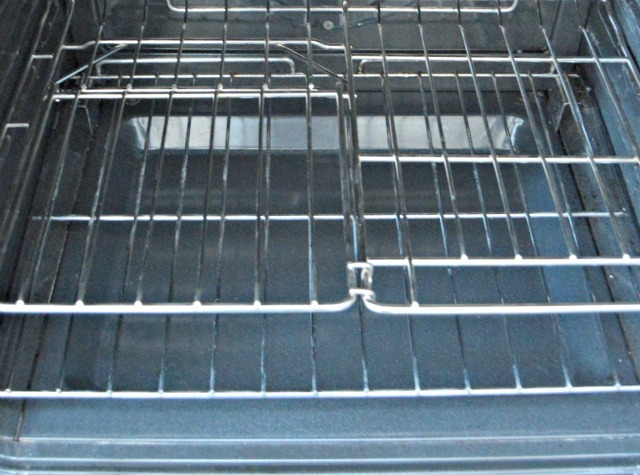 Oven racks can be washed in the dishwasher, to keep the deep cleaning to minimal scrubing.